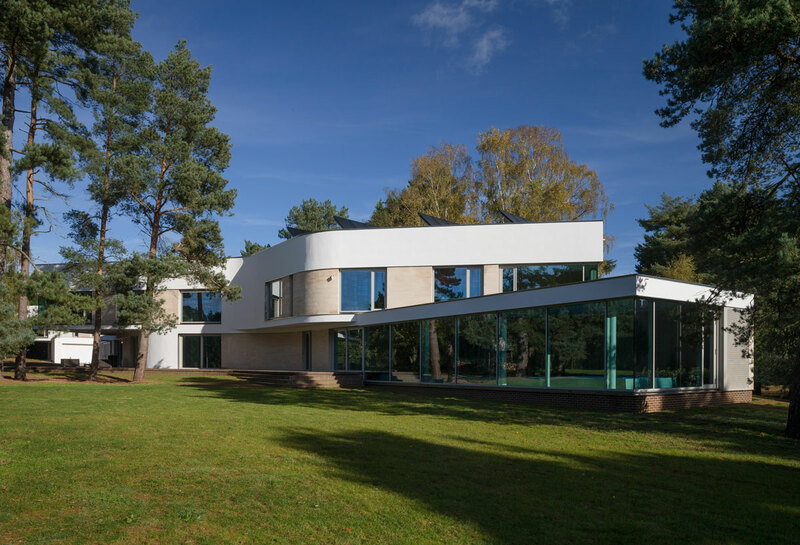 The two floors of this thrilling new house weave through their woodland setting on different paths. 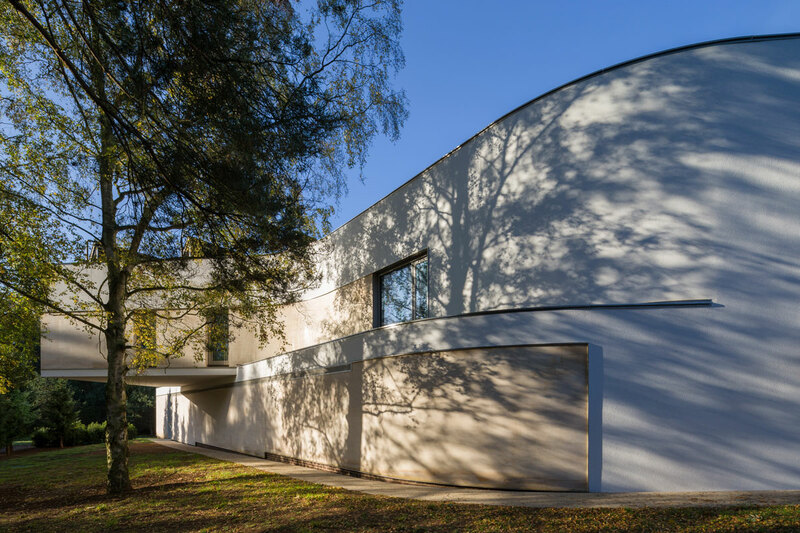 The ends of the first floor sweep far out in dramatic cantilevers which, combined with the sinuous curves, imbue the house with a breathtaking dynamism. The seemingly weightless form of the house is achieved with some very serious steel gymnastics. 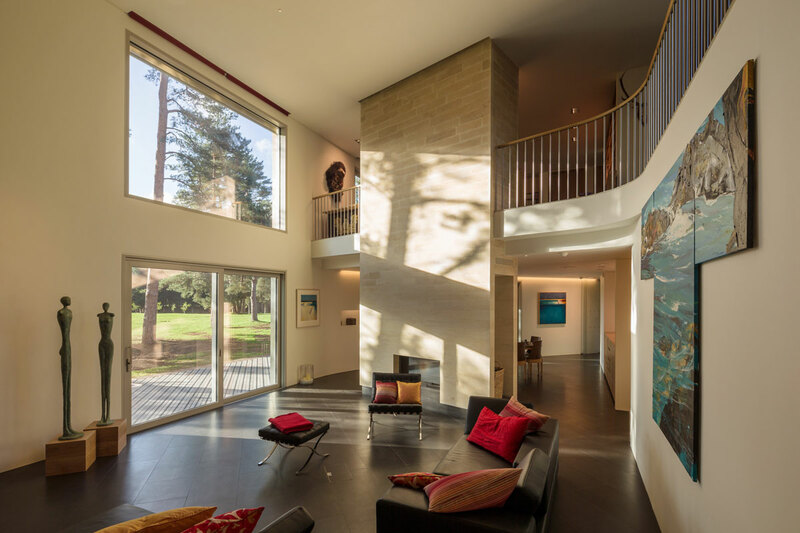 The carbon footprint of the house is minimised by gathering energy from ground source heat pumps and a huge array of solar panels. 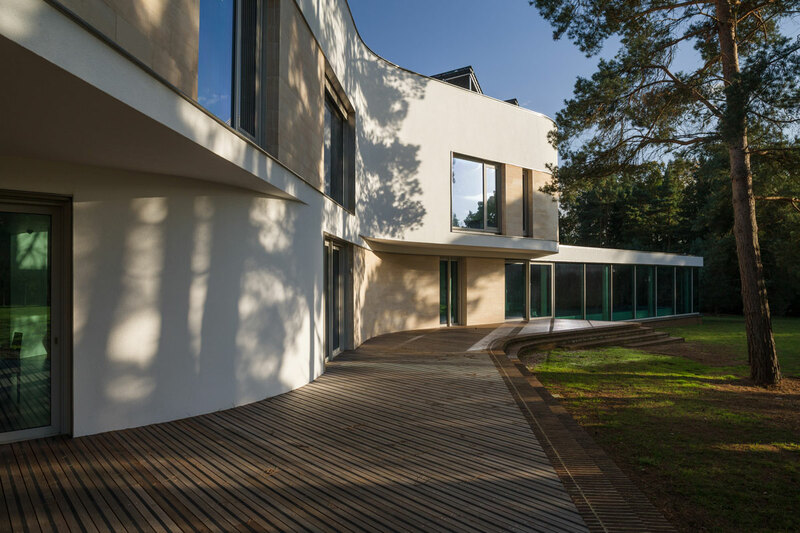 The idea of the house as a walk in the woods is continued inside: the circulation route is lined from end to end with a sinuous and sensuous wall of vertical oak boards. The minimal interior using a limited palette of oak, basalt and stainless steel has been exquisitely crafted to the tightest tolerances.